From 59€ per night - 15 rooms of 9 types. 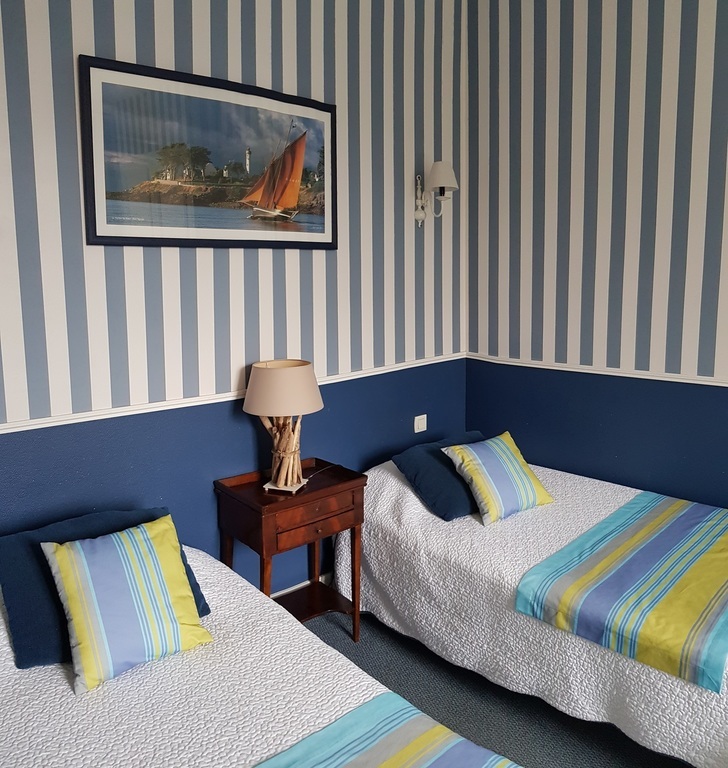 Bleuet room Room with 1 double bed for 1 guest. The bathroom includes a shower. 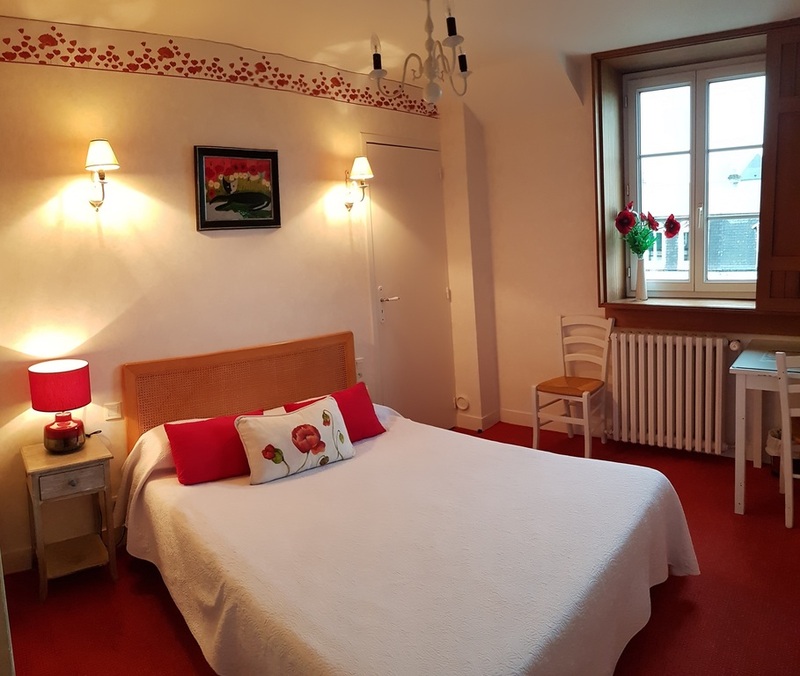 Coquelicot or Myosotis room Room with 1 double bed for 2 guests. The bathroom includes a shower. 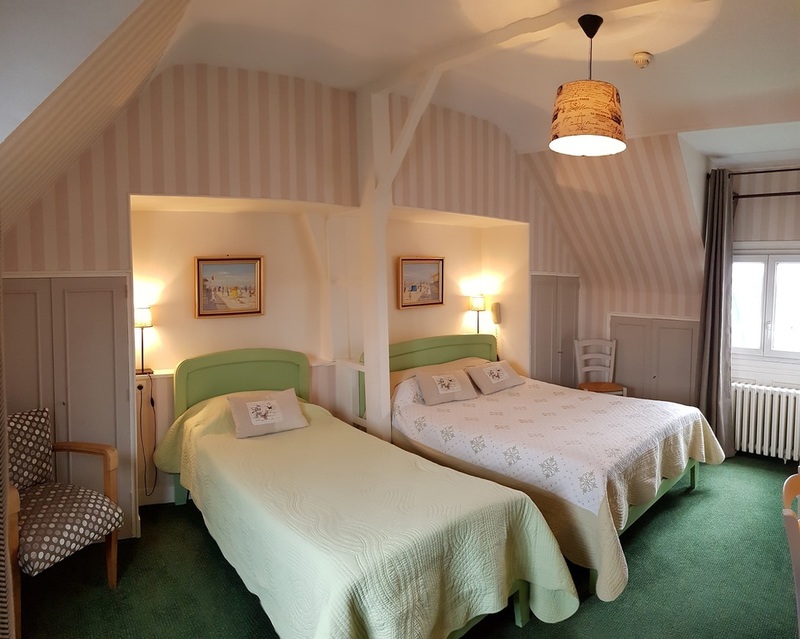 Millepertuis or Troëne room Room with 1 double bed for 2 guests. The bathroom includes a shower. Pimprenelle room Gavrden iew room with 2 single beds for 2 guests. The bathroom has a shower. Rosa room Garden view room with 1 double bed (160 cm) for 2 guests. The bathroom includes a shower. 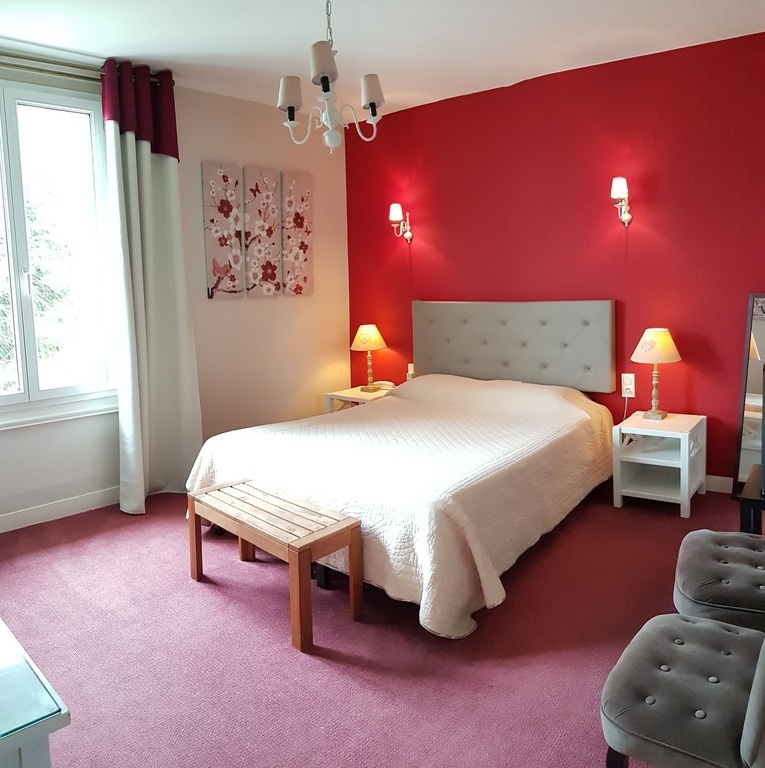 Campanule, Eglantine or Lavande room Room including 1 double bed (140 cm) and 1 single bed (90 cm) for 3 guests. The bathroom includes a shower or a bath, it depends on the room. 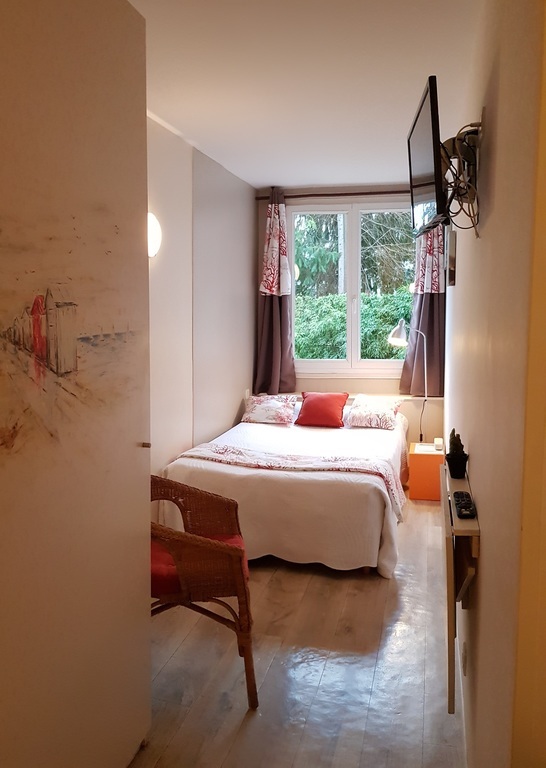 Iris or Dahlia room Room including 1 double bed (160 cm) and 1 single bed (90 cm) for 3 guests on the garden floor with a private terrace or a balcony, a shower or a bath. 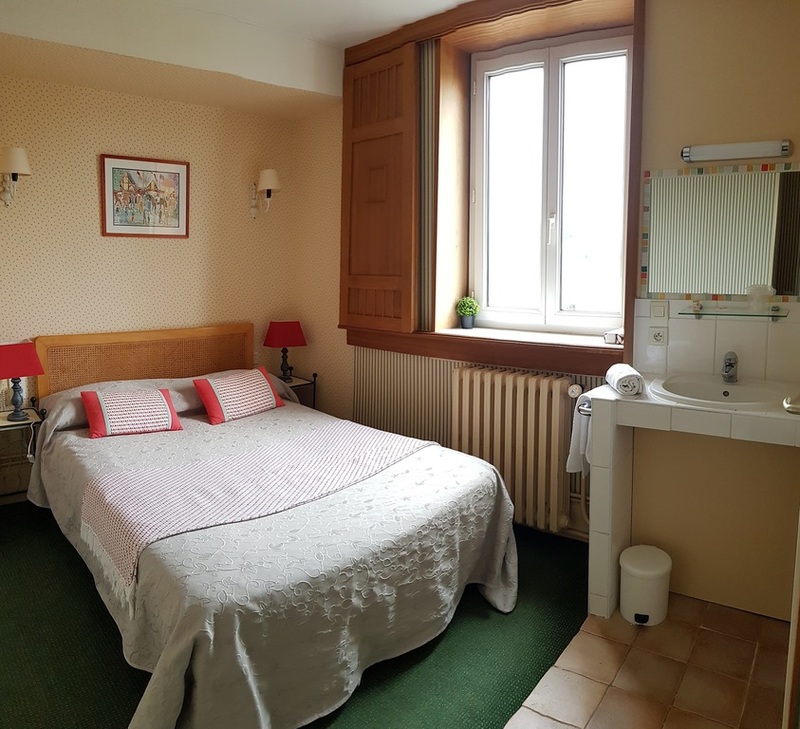 Capucine or Viola room with one double bed (160 cm) and 2 single beds (90 cm) for 4 guests (2 adults and 2 children or 1 couple and 2 children). Nenuphar room Room on the garden floor for 4 guests (1 couple with 2 children or 2 adults and 2 children). It is composed of 1 double bed (160 cm) and 2 single beds (90 cm).